Hello and welcome to the starting line for Haunted Halloween: True Stories of the Paranormal! 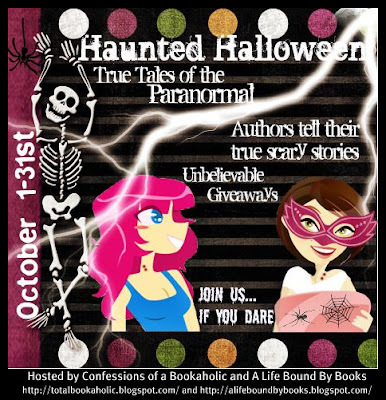 Throughout the month on my blog here and Jessica from Confessions of a Bookahlic, we will be hosting many authors and special guests sharing everything from True scary stories, to exciting exclusive excerpts from highly anticipated books to, interviews and yes giveaways! Pssst! I can’t tell you just what were giving away, but I can tell you this. *whispers* its well over 100 books!!! Yes, you heard that correctly!! We are excited to be able to finally share with you all the amazing things we have hidden away from each of our guests. Tomorrow we will finally be bringing you the first stories and we can’t wait! Starting sometime tonight we will also share with you some details about some giveaways. Two to be exact and then one more tomorrow. Are these the only contests you ask? No! Far from the only ones we have planned, but these will take a little bit of time, so we wanted to give you a head start with the two you will soon see. Also – on Oct 14th we’ll be hosting a Twitter party!! Starting at 9pm EST we will be having fun with authors and anyone who can stop by. We’ll be there hanging out for at least an hour, if not longer so anyone feel free to drop in and say hello. Oh, you might want to hang out, there will be trivia and random giveaways for using the hashtag #HauntedHalloween . 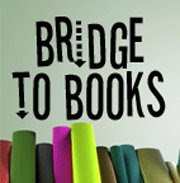 Be sure you’re following but @BoundByBooks and @Totalbookaholic for details and to be able to participate in the trivia! 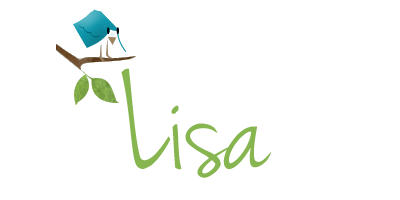 If you’re looking to get a quick and easy head start to all those extra entries, we would love and appreciate it if you’d take the button for our event – you can find it in my right sidebar - and add it to your blog’s sidebar! So, come and help celebrate Halloween with us and all of our guests for the whole month. It won’t be the same without you; we think you’ll have a haunting good time! Remember-- We will be posting the details for 2 BIG giveaways tonight (4 winners each) so come back in a few to see that! I'm so excited to see all that the two blogs will have for this. I grabbed the button too! I'm really impressed with all the activities you hold here! Thanks so much! Yay! Love the idea -- can't wait! WINNERS! Three contests - Eight Winners! Celebrating September - Contest #9 - It's Swag!! !